Three days later and we’re still trying to wrap our brains around the fact that Cleveland Browns owner Jimmy Haslam signed off on a deal to bring Mike Lombardi back to Cleveland. Plenty of people are talking about the decision – not surprising since Lombardi has not actually worked in the NFL since 2007 – and we have to wonder just what it is that 99 percent of the NFL missed on Lombardi all these years. So many openings, so few job offers. So let’s take a look at what Lombardi’s biggest supporters have been saying. “Mike is one of the brightest football minds I have ever worked with. He has a strong understanding of every aspect of the game and the process of putting a team together. Mike’s strong work ethic combined with his extensive experience in the NFL will give the Cleveland Browns an exceptional man for this position.” – New England coach Bill Belichick. Belichick has had numerous opportunities to hire this “bright football mind” over the years, most notably when Scott Pioli left for Kansas City in 2009, yet … he didn’t. “He still puts the game plans together for Bill Belichick. I see the stuff being used week in, week out. There’s no question that Bill uses the advanced scouting Mike delivers to him.” – Brian Baldinger, NFL.com. The Patriots last won a Super Bowl eight years ago. Maybe Belichick realized it was time to get his game plans from someone else. Nantz is right – Peterson did go seventh in the 2007 draft – mainly because Detroit wanted Calvin Johnson and Cleveland’s Phil Savage actually got something right in drafting Joe Thomas. Does anyone think that Tampa Bay (Gaines Adams), Arizona (Levi Brown) or Washington (LaRon Landry) wouldn’t like a do over? Oh, yeah, and Oakland took JaMarcus Russell with the first pick in the draft – a draft that Lombardi helped to oversee while working for the Raiders. As for the “says who?” part, well ESPN’s Mel Kiper had nice things to say about the draft, and The Sporting News gave the Browns an A-, so there you go. A “true evaluator” who said Josh Gordon was a wasted pick and that Joe Haden was too slow to play in the NFL. There are plenty of people who “never stop thinking” about football. Wonder if they were able to score an interview with the Browns? Now that is a philosophy we can get behind. 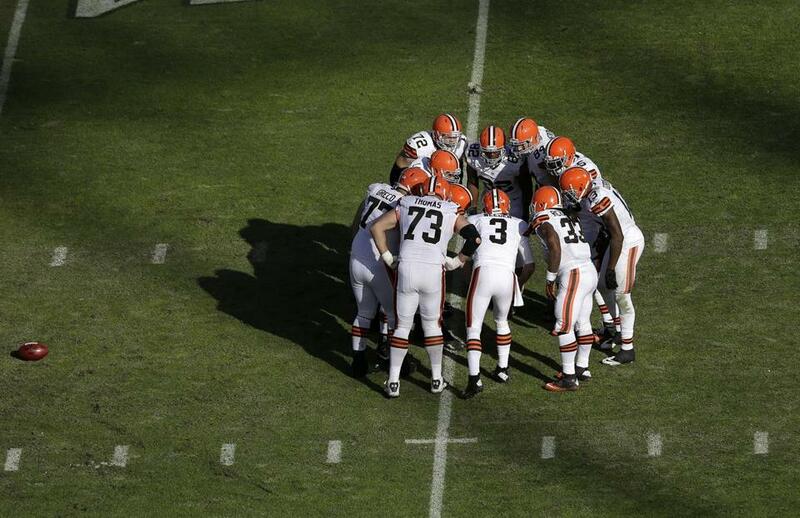 Whether or not Lombardi is right person to help the Browns build a winning team remains to be seen. For all of our sakes, we better hope that Lombardi’s actions can speak louder than those words.